Information here & UK medical advice here. BBC overview here. We must remember other flu strains kill thousands every year. It’s also useful to remember a pandemic is so-called because of its potential spreadability, not necessarily its virulence. The answer on this occasion seems to be basic hygiene and common sense awareness. Panic is not helpful. A 22-year-old London man with swine flu was today “in a bad way” in hospital. The student, the first person in the capital diagnosed with the virus, had been on holiday with friends to Cancun in Mexico. Health chiefs said on Wednesday the man from Barnet, who has not been named, was only suffering “mild” flu-like symptoms. 11:45 Phoned NHS direct. They said I was probably OK, but if anxious I should consult a doctor. Explained that was what I was trying to do when I ruddy phoned them. Lady said she wasn’t actually a doctor but doing her best to handle inceased volume of calls. Reassured. Not. 12:15 Wife realised we were out of Beecham’s Powders. Situation becoming Critical. 13:15 snoozed off in front of telly with pint and bag of Pork Scratchings. Aw, what the hell... I might as well die happy. 17:15 Feed a cold and starve a fever. No pie for tea! At least this thing isn't slowing the wife down... yet! 06:15 Missed Dawn. Slept through. Probably for the best. 11:45 Feeling a lot better, actually. Last lot of Beecham’s powders. Unfortunately, we would also need to legislate against individual greed. I know that instant communications and news are part of our culture, but I sometimes long for the days of snail mail and daily papers, without any modern communications media. Perhaps I am becoming a grumpy old man. I see what you mean. Clear accurate public information is what we all need, on the back of swift accurate public health reporting. That, backed by everyone taking obvious hygienic precautions they should be taking anyway, will enable those who actually know what this thing is all about to apply their intelligence to finding the speediest solution. As it is flat earth news values, and chequebooks, conspire to spread confusion and alarm... and many of the daily papers seem to be leading the charge rather than providing the strength in depth background information that some are and all could. What I want to know is whether the 22 year old man was already retaining Max Clifford as a publicist or whether he rang him when he started sneezing? Is Max Clifford now the fourth emergency service? Calm is needed but the authorities should be justifiably worried for two reasons. 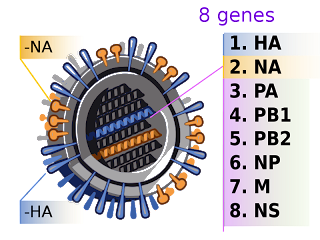 First even if this variety of flu is no more dangerous than the seasonal flu, because most people have no immunity more people will catch it than with seasonal flu. Second the possibility that this flu will mutate again and become more lethal (this apparently is what happened in 1918). If nothing else this is a good check on our preparedness, how quickly can we gather the information on the spread and see the right people get it, how quickly can we develop, mass-produce, and distribute a vaccine against it, will the governments do the right thing (in 1918 some city governments in the US were holding big rallies for war bonds even though they knew they had an epidemic, the results were lethal for many), is the public health system prepared (enough masks, hand cleaners, anti-viral medicines, etc), will there be an international effort. It would actually be typical of the NHS, in my experience, to plead with the patient NOT to see a doctor if at all possible. I'm looking for a publicist in case I might get it. I've got swine flu - no, really. My six year old son is getting over it, mine started this morning, and I've just started taking Tamiflu. I feel pretty rough, kind of like I've got flu (!) - but it will pass! Paracetamol is helping keep my temperature down and make the muscle aches a bit easier. I've slept all day, am up for a couple of hours now. Thank God my husband has just been made redundant so he's at home to look after us, fetch prescriptions, Beecham's powders, etc... Seriously - it's a bit of a horrid virus, but doesn't seem to be as bad as 'regular' flu. Oink.